What is the Best Form of Cellulite Removal? Cellulite is a subcutaneous fat that causes dimpling on the skin, most often occurring on the thighs, buttocks and hips. It tends to occur in older women, but despite beliefs, it can appear on women and men of any age and with any body shape. Whether you are slim or curvy cellulite could still be an issue and when you suffer from cellulite you are likely seeking treatments to eradicate the condition and return your smooth skin. So how can you get rid of it? Despite cellulite creams, massages and over the counter products, many people still suffer from the stubborn bumps and dimples, refusing to move. Cellulite is the fat cells pushing against the body so to decrease the cellulite you need to decrease the fat cells. 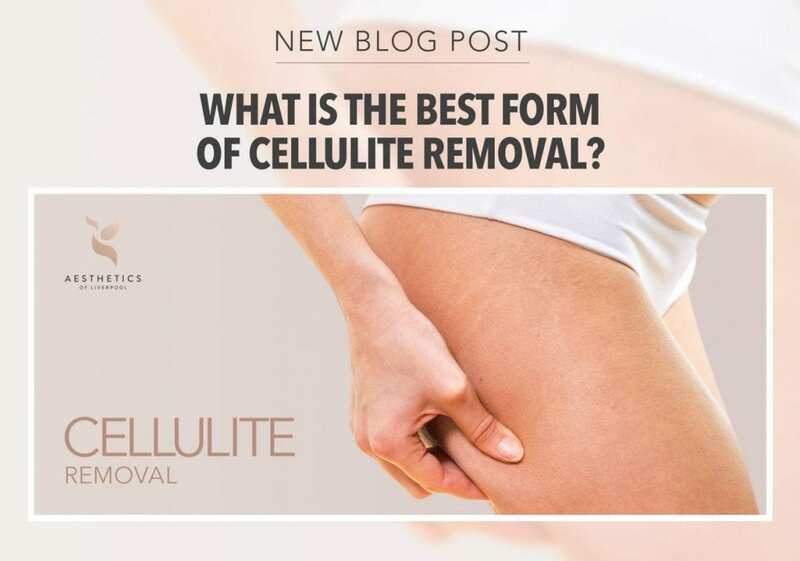 In this blog, we detail which treatments are best for targeting these cells and reducing the overall appearance of cellulite. This brand new treatment, 3D Shockwave, is the latest procedure designed to tackle cellulite by accelerating fat removal and tightening the skin. This improves the skin’s texture, delivering visible results that you should begin to notice after 3 to 4 sessions. However, optimum results should be visible after one month, with 8-10 treatments recommended for longer-lasting results. The treatment involves placing probes on the areas of the cellulite which then emit radial waves known as shockwaves. The shockwaves then work to disrupt the fat cells and break down the sclerotic fibrous tissue. This tissue is what is responsible for much of the uneven and dimpled appearance of cellulite. A further way it works is by firming the skin by increasing the collagen production and encouraging lymphatic drainage. So, more fatty acids are flushed away, improving the skin’s appearance. 3D Shockwave treatment can be used on the thighs, buttocks, abdomen, arms, hips and knees. You can use this treatment as part of a fat reduction programme or as a standalone treatment, both delivering visible and outstanding results. 3D Shockwave treatment is powerful enough to reduce the appearance of even the toughest cellulite, lifting and firming the skin. Radio Frequency can also be a great way to eliminate cellulite. It is a safe and non-invasive treatment designed to tighten the skin on the face and body. This makes it the perfect remedy for those looking to improve the appearance of cellulite by smoothing the skin. You will usually notice visible results after just one treatment. However, a course of 6-8 treatments (one per week) is recommended for the best results. After this, a further treatment every 4-6 weeks is recommended to maintain the results and keep your skin looking smooth, toned and youthful. The practitioner will carry out the procedure by gliding a hand-held device across the treatment area. Then, ultrasound technology from the device is used to penetrate the epidermis of the skin. It heats it up to approximately 45 degrees, which causes the collagen fibres in the skin to contract, and also to produce new collagen and elastin. This process causes the skin to automatically tighten, resulting in a firmer appearance. This treatment can also be used on the face to help fight signs of ageing, but when used for cellulite it is very effective for treating the abdomen, thighs, upper arms and back. It is usually recommended that you allow 30-60 minutes for the full treatment time. People can respond differently to the treatment depending on their skin type. While most can return to their day to day activities immediately, some can experience some sensitivity. However, if you follow the safety and aftercare instructions, you can expect the maximum results. Water packs and light moisturiser can be applied to the treatment area to treat any blisters, redness and discomfort. SPF is also recommended to be worn daily after the treatment to protect the skin. Also, you must remember to drink plenty of water, around 2 litres a day, to ensure the skin stays hydrated, and avoid consuming any caffeine or alcohol directly after the treatment. 3D Dermology is a new, non-invasive treatment that can help to dramatically reduce the appearance of cellulite. This new procedure kills between 20%-40% of the fat cells in the treatment area naturally. A hand-held vacuum is glided over the area, flushing away the fat cells and unwanted toxins from the body. The treatment usually lasts around 30 minutes and doesn’t cause any discomfort. Typically, the body takes several months to flush out fat cells naturally, but with this treatment, you can see visible results after just 6-12 weeks. Once the procedure is over it is advised to avoid applying any pressure to the treatment area (usually the abdomen and thighs). This is because some people can experience redness or sensitivity post-treatment, which generally fades quickly. Apart from this, you can go about their daily routine normally. Cavitation, also known as ”Inch Loss”, is a non-surgical alternative to eliminating fat cells from the body through the use of ultrasound technology. The ultrasound waves destroy the fat cells by applying pressure to them without harming any other cells in your body. The fat cells cannot withstand this pressure and break down and turn to liquid. The fatty liquid then leaves the body naturally through the liver, leaving you with visible weight loss and less cellulite. Cavitation isn’t painful, with patients experiencing only a slight warm feeling which is entirely tolerable and subsides at the end of the treatment. The treatment can be used for the thighs and buttocks, abdomen, flanks and arms. It is recommended that you have 6-8 treatments at weekly intervals to obtain the best possible results. Cellulite isn’t something to be ashamed of but it can really affect your confidence. If you are fed up with seeing little results from the standard creams smoother skin, any of the treatments above can help you to get the body you want. Here at Aesthetics of Liverpool, we pride ourselves on helping our clients to find the best procedure for them and provide a professional and friendly service. Contact us today for a free consultation.